SGRT v2 New fabrics and fit offer the greatest comfort ever. Simple design with huge improvements. New fabrics allow for better stretch and comfort. Thru dyed fabric never turns gray when worn. 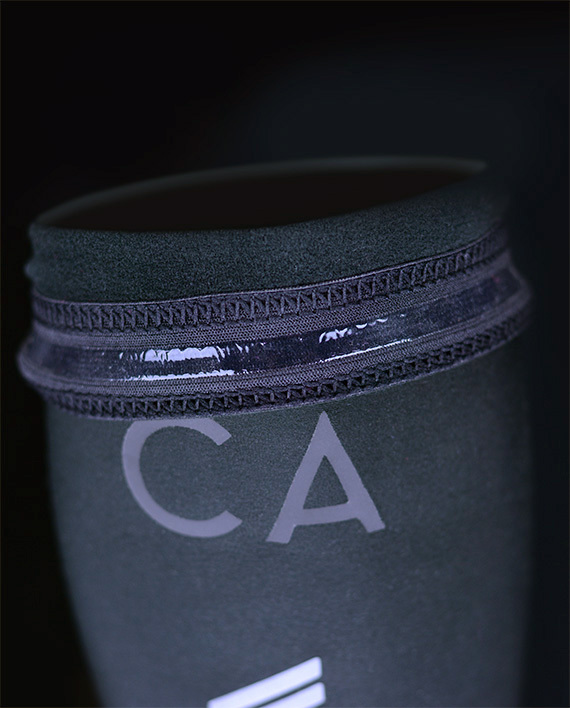 A brushed fleece finish is applied to the inside for ultimate temperature regulation. Simple branding and reflective stripes offer better visibility. SGRT Warmers, Back to basics! The very first thing we considered was the Fabrics. 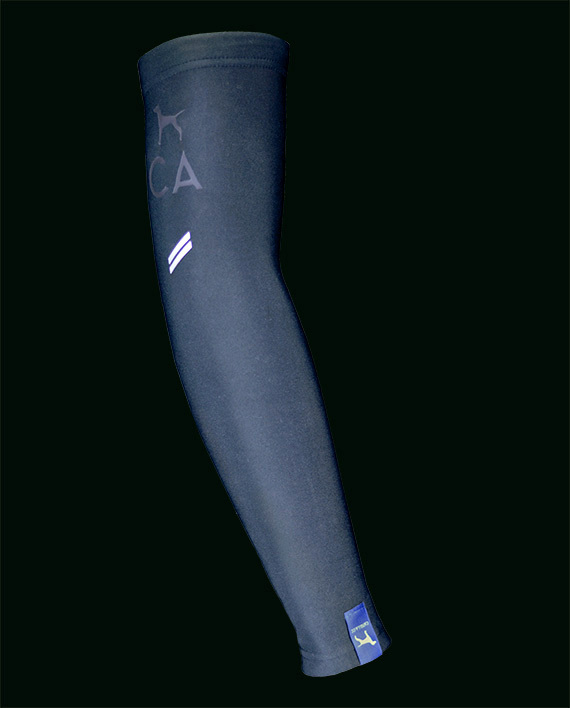 Our new SGRT Warmers (San Gabriel River Trail) are made from a new fabric article that is thru dyed and solid in color. This fabric is never subjected to extreme heat in production as is done by other brands. The fabric therefore remains supple and soft always. The stretch is preserved for easy removal on the bike. The internal fleece lining is smooth and acts to wick moisture away from the body. Perfect for changing climates while climbing. Thru dyed fabric remains solid black color while wearing. Incredibly soft internal fleece lining. High stretch fabric eases any restriction. Reflective label keeps you safer on the road. Now with an expanded size range that keys in fit perfectly. True to size. while retaining its high stretchability and fit. 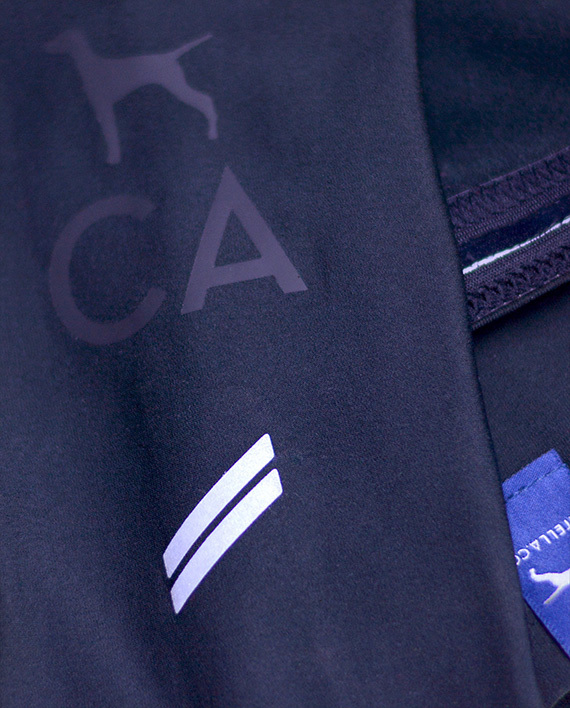 The fleece finish is never subjected to heat in the manufacturing process like other brands. We use a thru dyed fabric that remains solid and soft when worn.